EXAMINER ARCHIVES | 2016 & Beyond – Jessica N. Abraham | Designer. Writer. Publicist. It’s been a week since the release of WebDAM’s latest features to their brand management solution, Brand Connect. On Tuesday, May 3, Examiner sat down with Jody Vandergriff, Co-Founder and CEO of WebDAM, to find out more about this game-changing platform and how it not only affects marketing teams and designers, but how it’s creating impact for the enterprise with individual contributors all over the globe! As globalization takes over the business world, the standard multinational organization is finding itself competing with scalable business structures that have centralized headquarters and thousands of work-at-home contributors. Some of these companies don’t even have a central headquarter location. The multinational now has to work in double time, making sure that overheads are covered in each location, while innovating to protect their position in the marketplace and keeping with consistency across the board. But, guess what? WebDAM, a Shutterstock company, has now created a solution that just may put them at greater odds against one another. If you remember, WebDAM released a Fifty Shades of Branding SlideShare last year to introduce their Brand Connect platform. We even covered it here. Since its release, WebDAM has been working extra hard to expand upon feedback from the initial release and provide better solutions that service remote teams. The solution was to create a social branding platform to engage multidisciplinary teams and cross-departmental groups in conversation over branding and deliverables. Towards the end of 2015, we have learned that many organizations are integrating WebRTC, a form of Unified Communications, in creating seamless production amongst their cross-continental teams. WebDAM is no different, as they encourage communications between team members by providing better tools for conversation and collaboration. 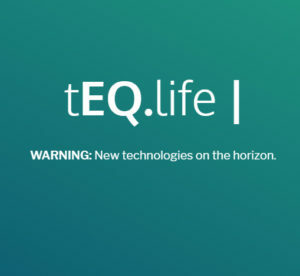 Their new platform features e-mail, instant messaging and more. The efficiency of WebDAM’s new features is priceless, and this launch has been the biggest one yet. For example, Embargo Dates and Image Carousels synchronize the release of materials, based on roles, privacy settings and location-based specifics. What’s even better than this is the fact that anything released through the Image Carousel can be released cross-platform and distributed to specific sites, on specific dates and in specific cities or countries! This is very important, because it eliminates the need to create and recreate multiple codes that display a mixture of shared and unique-to-site imagery. In fact, there will be little need to ever change the code – unless a web property is being redesigned – and even then, the code will still never have to change. This is visual content management at its finest! It is to be noted that with video becoming one of the fastest growing content assets, this platform is completely capable of managing video, as well. This is important, as so many websites rely on videos to better tell their brand’s story or to sell a product. Allowing social functionality, team members and decision makers all get to join in the design process. They will be able to better explain what works, what doesn’t work and what should be implemented to cater to specific demographics and location-based populations. This is done in real time and across various platforms. This means that Johnny-on-the-Go will be interacting from his mobile device, while Stationary Sally makes changes in Australia from her desktop computer. The “collective wisdom” in asset management is becoming very popular, because it better cultivates a corporate vision, especially across territories and amongst those who may never meet each other face-to-face, allowing for the design process to be maximized and project management to be completely streamlined to ensure clients are continuously receiving projects on time, on task and on budget. In fact, companies may opt to include their clients within the platform, keeping them involved in the design process every step of the way. This saves time and also ensures higher rates of satisfaction to the end user. The new features are set up in a visual style guide and mood board scenario. Textures, visuals, colors, fonts… They are all displayed in such a fashion that not only harvests productivity, but they will also inspire. Stakeholders now have influence. “Usually, when creatives are distributed to teams and client brands, they are distributed through a .PDF file inthe form of a style guide. We are changing all of this and making things easier for teams, especially those spread out geographically,” states Jody Vandergriff. A smart solution for cloud-based systems, building, organizing and distributing brand assets and guidelines, the automation speaks for itself. But, everyone wants to know about the analytics. How well is this platform performing? In the previous release of the platform, analytics were spread across social channels and web domains. It was the essential brand management platform. The upgraded version allows “graphic details that display key measures and trends to better understand asset feedback and use.” Analytics have better allowed us to understand the external details of our brands – but what about the internal stakeholder? WebDAM has allowed us to access these details and find out what our team members really think – whether they admit it or not. Discoveries allow for detailed information, relating to tools, that can be used and how to use them. Guidelines are displayed to teach stakeholders where creatives can be used and shared. Basically, this centralized “location” better dictates to teams the “can dos” and “can’t dos” in each brand campaign. Project management has also been made easier, as various workflows are supported within the platform, itself. Dates for submission and deadlines for publication are set in stone — but are also customizable. User profiles allow each team member to be unique, while able to be grouped and assigned tasks. There is a persona behind each set of keys. Products will be introduced, and product releases can be better managed through product management strategies within the workflow process. Finally, WebDAM has partnered with some pretty amazing organizations and mainstream media companies to provide the optimal experience to each user of this platform. Fully integrating, WebDAM has partnered with companies, such as Adobe’s Creative Cloud to allow in-the-cloud editing. Using a program such as InDesign, users will find that assets are directly pulled into the system. Creative content can be moved directly from the desktop and into the cloud – or in reverse. Layers can be saved automatically to the cloud, while the entire project is accessible cross-platform. WebDAM has partnered with other great companies, such as Box, WordPress and Drupal, to allow similar functionality. Soon, WebDAM will be releasing information on their new partnerships and will only further enhance content management experiences, driving industry change even further. Companies that utilize proprietary information will be happy to note that WebDAM has also made allowances for customizable API utilization. Changing the game for marketers, brand managers, content developers and product owners, WebDAM continues to amaze us with their innovations. They have taken the business out of the business and allow us to become more creative. We have been hindered in such an evolved world that some of us have forgotten how to be creative. This is not only shifting industries, but it is opening our minds. With traditional media being replaced by digital streams, major agencies are starting to wonder if their advertising dollars are being put to good use. 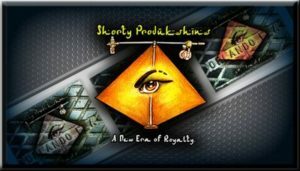 At a time where we pre-record our shows, only to fast forward through the commercials – or when we wait for them to show on-demand – we prefer short 15-20 second videos overdrawn out commercials that we can’t click to skip after so many seconds. Because digital television allows agencies to redirect new customers to a call of action, digital television should be an obvious priority within advertising efforts. We are relaxing after a long day of work and school. Show us. Don’t make us do more work! These trends are known as addressable TV advertising. According to Soumya Mutsuddi, a lead analyst for Technavio, “Addressable TV advertising is gaining immense popularity in the US. It is helping advertisers reach out to their target audiences and generating great results in terms of ROI. Within a common program or navigation screen, this technique is capable of serving different ads or ad pods. Addressable TV advertising is made possible across platforms, including digital television and traditional transmissions alike. The company predicts that TV ad spending will only increase with the aggressive political events and upcoming world competitions, such as the 2016 Rio Olympics, European Leagues, FIFA World Cup and the United States Presidential Election 2016. Trends in television consumption are already showing sharp increases at this time. Taking a step back and looking at the overall picture, one can clearly see that, while targeting specific demographics, traditional media is actually quite broad-based and caters to multiple subgroups or to those, who have shared interest across demographic boundaries. Digital media, however, is customized to the user experience, targeting specific data points and providing tailored content to individual viewers. Digital TV advertising is then able to tap into psychographics on a much more powerful scale. Traditional television platforms are starting to use these ideals in providing tailored experiences to local populations. Much like YouTube’s ability, for example, to allow users to broadcast their own advertising based on matrices, traditional television is driving local advertisers to engage in television broadcast in meeting their advertising needs. Limited budgets are even being catered to. Cable companies have recently been adopting the technologies in optimizing online advertising strategies and synchronizing them with local broadcast television. This has been providing them with better visibility and awareness for brands that the local population is actually interested in. Through programmatic advertising, the automated buying and selling of digital advertising is taking place. These data points are effective, because they are rolled out based on data collected online. But, they are also very efficient, because they save time and provide a great quality of service to the customer. Efficiency cuts costs to process for the company. Advertising dollars are then optimized. Customers are getting a bigger bang for their buck. Increased quality in inventory allows advertising to allocate more budget for this form of advertising and actually grow their business. 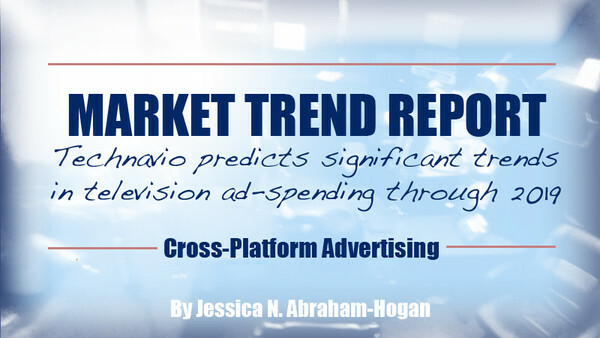 Programmatic advertising has already seen the increase in spending dollars due to excellent placement, from 2014 to 2015. This is only expected to increase and become a primary choice for traditional advertising in a cross-platform type of world. Finally, the advertising markets have learned that users not only want to enjoy a product or service, they want to have a good story that goes along with it. In marketing and branding, we learn that a good story will sell just about any product – especially to someone that doesn’t necessarily need it. Trends in online purchases show we spend many of our hard earned dollars on bidding and eCommerce platforms such as eBay, Amazon, QuiBids, PropertyRoom.com and more. We have learned to trust bidding in real time and have learned to actually love it. There is a certain rush, knowing you are getting a hard-to-find item or an item under its value – and trying to be the winning bidder, against hundreds of others across the country. Real-time bidding has become that emerging trend in the US advertising market, and it allows us to interact with the brand, show our interests and allow them to gauge our demand. Real-time bidding has become so commonplace that it has “outpaced growth in other digital media platforms such as mobile and social in the past couple of years,” according to Technavio. Because the digital infrastructure is so developed in the United States, we have become the largest market for real-time bidding in the world. Technavio expects real-time bidding to triple during the next three years and account for 50% of the United States digital ad spending market. This would include those doing business within the United States but are located elsewhere. Because real-time bidding is an exciting interactive process, users will most likely spark awareness of bidding platforms through word-of-mouth efforts and businesses will be able to reduce advertising costs, model ads according to target audiences and provide better transparencies in ad delivery. THIS ARTICLE PREVIOUS APPEARED ON EXAMINER ON FEBRUARY 2, 2016. According to a Feb. 2nd disclosure by PQ Media, a leader in competitive intelligence and market research for some of today’s top media and technology organizations, traditional media consumption is declining and is predicted to be consumed 2.1 percent less by 2019. We have already seen a 2.4 percent decline in 2015, leaving us consuming traditional media at a rate of 46.8 hours weekly – down 10 hours from 2009. Television makes up over 50.2% of this figure with 32.4 hours spent consuming media, weekly. This factor does not differentiate between smart TVs and traditional television sets. Reflected through a 7.3 percent rise in digital media consumption for 2015, users were often engaged in customized, interactive experiences, leaving traditional media platforms less desirable and often kicked to the curb – literally. Intelligence has been collected between the five consumer types, 15 leading global markets in three broad categories and within 22 specific media channels. Digital media usage accounts for 27.7% of our media consumption in the United States. While Millennials are known for their dependence on technology and the impact on evolving business models, 2015 showed us that it is actually the Gen-X crowd that most heavily consumes digital media interests. In fact, they spend almost 25.3 hours a week on average in digital media consumption. Even the iGen crowd, the youngest group of media consumers, is only spending 39% of their time in front of an electronic device — and this is evenly spread amongst multiple digital media channels. The Gen-X crowd is spending almost as much time consuming multiple digital media channels simultaneously, as the average hours are spent working a part-time job! With 2016 birthing a plethora of technologies related to health and fitness, targeting baby boomers and the elderly, it is also expected that the average consumption of digital media will boost substantially, increasing the weekly average from 13.2 hours. In 2015, as a whole, the average American spent 23.9 hours a week consuming digital media in some way, shape or form. Contributors include access and adoption of smartphones, tablets and wearable technologies. It is also reflected through launch consumption of new market gaming consoles, in additio to political and sporting events. Despite controversy in the recording industry, surrounding digital music piracy and media consumption, it continues to be the fastest-growing outlet for digital media to date. In 2015, it has made up 33.5% of total media consumption in the US. Benefiting the Music Industry and advocating for the recording artist, this was achieved through a sharp increase in music subscription services. Digital media music consumption often overlaps time spent on social media and collaborating online. This number does not depict consumption of digital downloads and solely reflects access through a connected device. 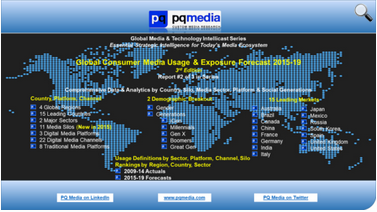 “Increasingly, online and mobile media usage is being driven by the digital brand extensions of traditional media, driving up overall media as more content is re-purposed for digital devices, such as internet and mobile video streaming of TV programs and movies; online radio stations; web-based multiplayer editions of console video games; and mobile newspaper and magazine apps,” said PQ Media President and COO, Patrick Quinn. Combined digital media usage and traditional media consumption totaled 64.7 percent of hours consumed by the average American on a weekly basis. This number is expected to increase to 67 hours in 2019. Increased availability of user-generated content will replace traditional media and content produced in-studio. In an era of hashtags and memes, it is somewhat more effective to create a social campaign surrounding a hashtag in order to promote your cause to the World than it is to send out brochures and e-mails, promoting your cause. Statements made through hashtags on Social media are more personable this way. People are able to connect to those with similar interest by simply clicking hashtag phrases for similar conversational results. Or, they may understand an unfamiliar phrase in a more in-depth matter. These statements are short and simple. They are able to speak their mind in few or minimal words. In many instances, hashtags actually work as a silent protest and petition. They act to connect users in conversation surrounding issues in their communities or lifestyle. Some hashtags actually gain interest based on the “support” they receive by the social networks that host them. Take Twitter, for example, they use trending topics to continue social conversation in their system platform. In representing a specific cause or movement, hashtags are simply a way to take a stand, state your opinion and gain awareness while branding a cause with more information. It is a new era. It is our era! Today, December 23, 2014, representatives of The Sabir Bey Show on LA Talk Live spoke with Examiner about their current “#MoorishLivesMatter” campaign that has been taking over conscious communities around the World. While not as widespread overseas as it is in the United States and Canada, there is a growing interest in this movement, as seen in Europe, Africa and even Australia by many who are aware of their Moorish heritage and decent, especially in the wake of current racial tensions in the US. Regardless of TMZs ignorance of the Divine Moorish Nation and the misrepresentation in the media and courtrooms of the community, awakened Moorish Americans thrive in numbers, continuing the traditions, practices, ideologies and sciences of their ancestry that was once hidden from them. The problem is that many Moors, today, still do not know who or what they truly are. In fact, those who call themselves “Black” or “Colored,” are doing themselves and their families injustices by not knowing who they truly are. That’s what the #MoorishLivesMatter campaign aims to rectify in educating the masses of their direct origins and rich histories that were stolen from them through unconstitutional highjacking of the law and domestic terrorism that plagues our neighborhoods today. Many Americans today do not realize that Thomas Jefferson, Benjamin Franklin and John Adams had to sign a treaty with the Sultan of Morocco, Muhamad III, called The Treaty of Peace and Friendship, in order to establish the United States within America’s borders in 1786 and 1787 — The United States, being a trade partner with Morocco and publicly recognized first by the Sultan and then the rest of the World. They do not realize that George Washington’s “cherry tree” was a metaphor for the Moroccan flag of red and green or that The United States Constitution was actually based on Moorish Laws and Principles, as well as Islamic beliefs! They do not realize that the Moors were the reason Europe became a civilized continent or that they created means for education, language, plumbing and just about every important part of our everyday life! Worst of all, they do not know that the Moors were here before Columbus set sail to the Americas and not all persons with melanated skin came here because of slavery! These are only basic points of interest, but they are important in realizing the dehumanization of a people and the domino effect of human rights violations on today’s communities. Many people in society say that racism does not exist. They say that slavery has been over for 200 years, but they fail to realize that segregation, hate crimes in the forms of hanging and burning of flourishing cities and the monsterization placed by the media still exist today in some form or fashion, while formally being “ended” less than a century ago. Let’s try less than 50 years ago! They refuse to see that terrorism exists in the World by many authorities. But, what makes it worse, is that “terrorists” can legally get away with it. #MoorishLivesMatter, as opposed to the popular hashtag #BlackLivesMatter is more meaningful and more likely to make change than the previous. The goal is awareness. Lessons of History, Civics and Law teach knowledge that has been unrealized. Laws and rights of Aboriginal and Indigenous people are very separate from those who are not of the land. It is based on Common Law. They abide by the laws of the land but are not held in the jurisdiction of the Nation who is creating those laws. Because the United States formed through the immigration of European settlers, their laws are separate from those of the people who were here before them. Treaties in US law verify this and establish these boundaries. Some have worked hard, however, to find loopholes around them, including the creation of certificates to hold people as property, as well as laws that require these people to blindly accept alternative contracts in order to obtain rights given to them in exchange for their contract. In the case of those who have the belief that they are crayons, based on the thirteenth amendment, they fail to realize that they are only counted as ⅗ of a person in law and are not entitled to anything unless given through process. Using the hashtag #MoorishLivesMatter, one will see the Dred Scott Case being referenced, whereas between the years of 1847 and 1858, Dred Scott fought for his freedom only to be denied by the Supreme Court that ruled out that his “blackness” meant he could never become a true citizen of the United States. This is strengthened through knowledge of legal jargon (This can be referenced in Black’s Law Dictionary 4th edition and earlier. ), whereas “Black” references “CIVILITER MORTUUS (walking dead)” in law and “White” basically means “free and legal status.” If you are dead, you have no rights. #MoorishLivesMatter often asks, “Which country in Africa are you from, if you are African American? And, which country in America are you from?” They discuss how these continents are made up of many countries. When there are two nations in dispute, the United Nations may then become a mediator. When there are not two nations, the UN cannot interfere. This is one way much injustice is done on American soil, soil previously known as North West Amexem or Al-Moroc. #MoorishLivesMatter intends to be a trend that creates awareness and saves lives, while creating opportunities for our future generations, predicted by the Prophet Noble Drew Ali to “come in with their eyes wide open, seeing and knowing” the truths of the land. It was Noble Drew Ali who brought this information to the attention of many in the 1920s in hopes of “uplifting fallen humanity” through the five “divine” principles of Love, Truth, Peace, Freedom and Justice, which are also symbolized in the five points of the green star in the Moorish American flag. #MoorishLivesMatter reminds us that there is a unity to uphold and that many who consider themselves of the European race are actually of Moorish Descent, including Sicilians, Spanish, Irish and French persons. There is often a misunderstanding that Moorish people are of Muslim origin, while it is true that many were and are. Even Noble Drew Ali stressed that first man must find his religious creed to establish spirituality with his creator, but only to find “Self-Knowledge, Self-Realization and Self-Revelation” and that this is the route to creating the perfected man. This is how unity is understood through multiple bloodlines of Moorish Origin, as well as the several different religious practices of all in this community. 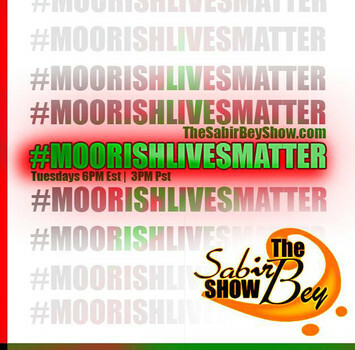 #MoorishLivesMatter shares the same topics and subject matter as its originator, The Sabir Bey Show, bringing “Pure Edu-tainment” to the lives of weekly viewers in over 180-countries around the Globe! While a collaborative of participants throughout the week, #MoorishLivesMatter is a hashtag that is most active on Tuesdays from 6:00-7:30PM Est on TheSabirBeyShow.com or at various places for “LA Talk Live” listening platforms, such as Tunein Radio, Live365 and Roku Streaming Video Players. The host of the show is Sabir Bey, a title (not a name) meaning “Patient Governor” or “Patient Teacher (depending on who is translating it).” Co-hosts include, Pilar Biggers Sanders Love El-Dey, Alberto Gaytan El, Salvador Dey, Shakim Williams and Carl Gilkey. Occasionally, the team is joined by Krysten Littles, Astrologer for The Cosmo Report. Understanding that Black History is only a portion of Moorish History will lead you to an understanding that whether you are “So-Called Black,” “Hispanic,” “Middle Eastern,” “Native American” or any other “race” of melanated people, you are all family and from the same Asiatic and African roots. This is what the #MoorishLivesMatter Movement teaches Tweeters, Facebookers and Surfers all over the World! 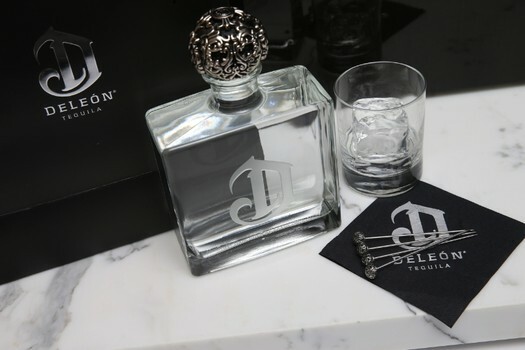 DELEÓN™ Tequila, a luxury-spirit by Sean “Diddy” Combs, prides itself on being “one of the world’s finest tequilas.” Commencing service Nov. 30, Combs announced the launch of a new personalized bottling service that allows more meaningful gift giving through the holidays. Esteemed for its grandeur, DELEÓN™ Platinum and Respado are now available for procurement during this Christmas season through the DELEÓN™ Tequila Combs Concierge Program. A special delivery is enough to melt any heart. Accompanied by a high-end signature-serve cocktail kit and drink stirrers, deliveries will include a message engraved in a bottle and a personal note from Mr. Combs, himself. The bottle has been made from a top-grade fragrance-class glass, said to be a keepsake by designers of the brand. Combs Wine & Spirits was founded in 2013 and is privately owned, focusing on high impact growth, while promoting social responsibility. Businesses, who are not catering to their Online audiences, have just lost a major chunk of the marketplace. As a matter of fact, with more consumers working from a home office, it is to be expected that a majority of their shopping would also take place Online. After all, there is no grocery store stop on their way home from work, when they already work from home. Instacart and Target partner to capitalize on the ideal that many families find it more convenient to shop from home than traditionally visiting the grocery store to wait in long lines and deal with cashiers with bad attitudes. Expanding their partnership into the Greater Chicago Area, Instacart and Target are working together in deliveries to their at-home consumers. In fact, they are working hard to ensure customers in many major cities, including Minneapolis and San Francisco, can securely order fresh food and produce through their Online platforms and have them delivered to their doorstep in under an hour. The timing was synched to provide shoppers with a “Target fulfillment option” during the holiday season, as cities become extremely busy – the at-home professional being no exception. Not only does Target ensure delivery of food-based products, they are also providing consumers with the ability to purchase health and beauty products, pet and household supplies – even baby items, which will come in really handy for the new mom in need of diapers – stat! Operating out of over 18 metropolitan areas across the United States, Instacart has partnered with many of our nation’s top retailers and grocery chains to enable customers with the ability to “save time and eat fresh.” They pride themselves on being “the only grocery service that can meet today’s on-demand lifestyle by delivering in as little as one hour.” It was named by Forbes as “America’s Most Promising Company” in January of 2015. Today, Dec. 1, 2015, Instacart’s partnership with Target has led to a “Giving Tuesday” in celebration of their new expansion into the Chicago territory. Customers shopping in the city will be helping a local food charity through purchases. Instacart will be donating one non-perishable food item per delivery made. In addition to Target, shoppers can also shop at Whole Foods Market without membership, Petco, Mariano’s, Plum Market, Tony’s Finer Foods, Pete’s Fresh Market, Local Foods and Jewel-Osco grocery stores. 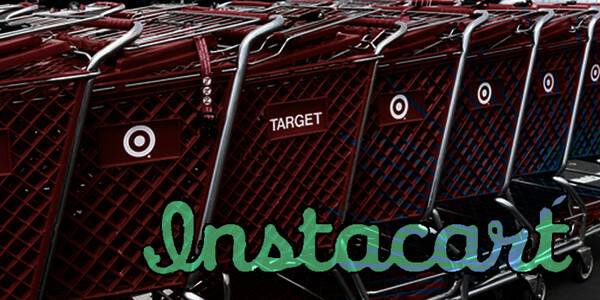 In 18 cities already, Instacart is coming to a city near you! With the claim that Facebook profiles are accessed over four billion times daily, they have decided “the best place for people to curate their Online identities and connect with others” is directly through their profiles. 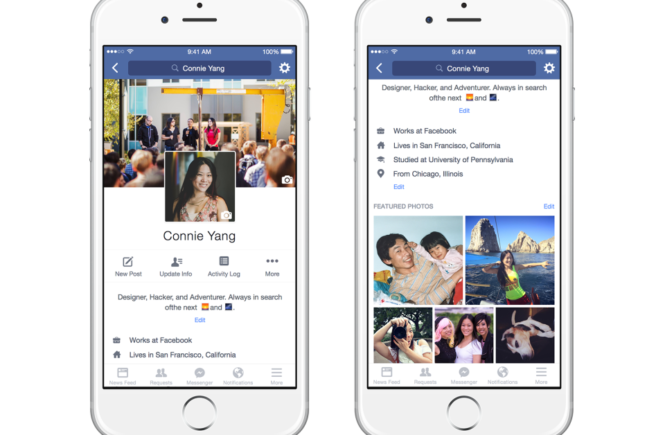 That said, today, Sept. 30, Facebook announced that within the near future they will be unveiling some “new, mobile-friendly features for Facebook profiles.” This will give users options in showing the world just who they are and what they are made of. This will also allow them to control what is highlighted on their profiles. Soon, users will be able to display 7-second videos as their profile “photo.” They can even choose to not do so, and instead, include a temporary photo that will revert back to the original photo once a time delay has run out. This will allow users to celebrate moments in their life, show support for a particular event and even show their emotions from the time being. In addition to changes to the profile photo and similar to the implementation of the cover photo, there will be a new space at the top of each Facebook profile, which is able to be fully customized and located front-row-and-center of each and every profile page, next to the new location for your profile video (which is also being made larger in lew of this change). Similar to LinkedIn and the original MySpace, there will be a “one-line bio field” that tell who you are in just one sentence. And, like the original Facebook, you will be able to once again showcase five photos at the top of the page, while including “About,” “Education” and “Career” fields. Introducing people the right way, they are implementing the “show friendship option” directly on each profile by presenting highlights of mutual friendships and including photos and stories that will help new friends make the connection. This could get a little crazy if ever a girlfriend or boyfriend discover previous lovers through the mutual friend tool. So, you can choose to hide this option from your page. While these updates are coming soon to a Facebook page near you, Facebook is starting to test these features with a select few iPhone users in the United Kingdom and California. This, along with live stream celebrity chats, the new dislike button, monetized publishing tools and more are on their way soon. It is advised that marketing firms, brands and public figures get ready to embrace these new features and be amongst the first to adopt the new technologies. The producer of The Sabir Bey Show met up with Examiner Sunday, Sept. 27, to update the news network with some of the latest releases from this hit streaming broadcast show and host, Sabir Bey. Current releases include a growing Web presence, interactive mobile application and new home at RMC On Air. This comes just four months after leaving a previous tenure at LA Talk Live, where the show endured three flourishing seasons. The Sabir Bey Show has now been given the freedom to enter new platforms and merge into new markets, where a new message needs to be heard and discussed. The topics will remain focused on “civics, law, history, health, society, culture and true hip-hop.” Therefore, it will remain unchanged to loyal viewers, who continuously return to the show for the fifth element in hip-hop — knowledge! The Sabir Bey Show, often called controversial by the masses, supports truth, freedom, justice, love and peace in efforts to “uplift fallen humanity” through its mission of uniting Moors across the globe and bringing peace amongst all communities. In continuing this mission, The Sabir Bey Show targets the Media in reminding those who have chosen a career in the media that there is a certain unalienable responsibility that goes with it. Host, Sabir Bey has been quite busy. Recently, he had been touring the country, giving lectures and showing the film, “Out of Darkness.” This film, already being slated much better than the popular Hidden Colors project in which he had appeared on in 2012, is the first in a series in from a similar genre. This film by Building Seven Media has also been gaining awareness around the Web. A sure cult classic, one will find guest appearances by multiple Moorish elders and by the many within the Pan Africanist movement, well-known to this country. The film officially releases in Mid-October to those awaiting in suspense. In addition to work with Amadeuz Christ of Building Seven, Sabir Bey has been filming a behind the scenes “actuality” show to The Sabir Bey Show. “The Sabir Bey ‘Actuality’ Show” is an on-demand, HD project, available through the brand new Sabir Bey Show mobile app and a spin-off of the very popular Sabir Bey Show. In the past, the show has reached over 8 million weekly viewers, including consumers in over 180 countries around the globe. Viewers are able to call in live and ask questions regarding the topic at hand and in relation to law and civics. He even challenges doubters live on air to call in and “put him on the spot.” …So far, no one has stepped up to the plate. TheSabirBeyShow.com is a social network, which is rapidly growing new members. Members are encouraged to enter in discussion with one another, while building between a nation. Here, members are able to purchase books, DVDs and even watch the show live. There is also a chatroom and forum attached to the site. Just as Facebook is both Online and on Mobile, so is The Sabir Bey Show. Users are encouraged to download the app to enhance their “edu-tainment” experience. Videos are available on the site, as will be a true hip hop playlist co-signed by Sabir Bey. The app has multiple features that site simply does not. 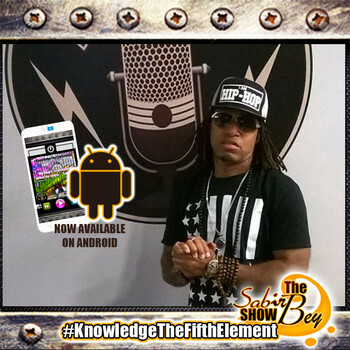 For now, The Sabir Bey Show app is only available on Android at this time. There is an app review process the app must go through before iPhone will see their version available. Each week, viewers can choose to view the show live through the app and/or watch it on demand. They are able to click-to-call the show directly, and they can also chat within the interactive browser. E-books, dictionaries and case studies are found on the mobile app, in addition to “must have” DVDs to enrich one’s educational background. The Sabir Bey Show can be found here in Google Play. iPhone users can cheat for now by visiting this link and saving a bookmark to their mobile desktop. There will be missing features, but it will still be a good alternative. Today, September 15, 2014, a personal disclosure by Sabir Bey (activist, producer, television show host and public speaker) was made to Examiner.com via telephone interview that spoke on recent happenings with The Sabir Bey Show on LA Talk Live. As of September 9, 2014, The Sabir Bey Show entered its third season with the continued mission of delivering “Pure Edu-tainment” to viewers in over 180-countries around the World. The season kicked off with special guest, Pilar Biggers Sanders Love El-Dey, who shed light on very controversial topics in her life which surrounded a recent divorce with Deion Sanders and included child abuse, domestic violence, slander, defamation, attempted murder, political blackmail and unconfirmed, exaggerated, misrepresentation provided by TMZ to the masses. The Sabir Bey Show continues to use Online platforms as a form of Public Relations in order to share “#truth” and “#edutainment” with the masses, by allowing the “other side of the coin” to be told. Often, the victim is not who traditional media amasses it to being! The same goes for History, Civics, Law, Society, Entertainment and Hip Hop, which are other topics covered on his show. This show has been a platform for many award-winning celebrities, authors, professors and historians over the years. The mission remains the same in bringing the five pillars of Moorish principle — “love, peace, justice, freedom and truth” — to future generations by way of the media, where they are often shortchanged. Being that technology has taken over in such a profound way in the last decade, The Sabir Bey Show primarily markets these principles through the show, an interactive website and social media. 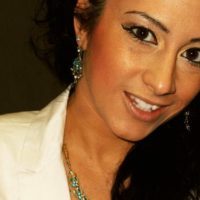 Tomorrow, Tuesday, September 16, 2014, Sabir Bey has informed us that Pilar Biggers Sanders Love El-Dey will reappear on the show to give more detail into the controversies surrounding her divorce, obstacles surrounding her as a woman who has reclaimed her identity as a Moorish American, and insight into the Entertainment World. Together, they will cover laws and civics surrounding her circumstances, as well as new topics for discussion based on current events. A very important topic that will be addressed is the defamation of the Moorish people (the “so-called people of color”), who share a very rich heritage that often goes without acknowledgment in today’s Global society. TMZ has released a very disrespectful and disturbing video piece that has offended many of those who are aware of the histories surrounding their ancestry and current way of life, in which has previously been stripped from them. Sabir has challenged TMZ to counter this matter and awaits a potential visit on the show, whether in person or via telephone response. It is unknown whether they will respond or not. The Sabir Bey Show airs live every Tuesday at 3PM Pst (6PM Est) on UStreamTV, Roku Streaming Players, Itunes Radio 1&2 (R&B), Aha Radio, Stitcher Radio, RadioFlag, Live365, LATalkLive.com and TheSabirBeyShow.com. Make sure to tune in for “Pure Edu-tainment” with Sabir Bey, Alberto Gaytan-Dey, Sal Vader and DJ Hazze. The Sabir Bey Show is also actively seeking sponsors, advertisers and partnerships. Visit TheSabirBeyShow.com to find out how!